Pioneers in the industry, we offer bopp bags, fancy rice bags, bopp rice bags, bopp wheat bags, multi colour bopp bags and bopp woven bags from India. Leveraging on our in-house production unit, we are manufacturing, supplying, and exporting a wide assortment of BOPP Bags. These bags are digitally printed in both sides. The duplex image printing is determined by the clients on custom needs. Clients too can give their own specifications for the printing purposes. From standard to custom size is developed accessible on demand. Our clients can avail the bags in bulk from us at industry leading prices within the stipulated time. With the assistance of our deft team of professionals, we are able to manufacture, supply, and export a broad array of Fancy Rice Bags. Biaxially Oriented Polypropylene (BOPP) bags are known for providing reliability, high durability, and hygienic storage. 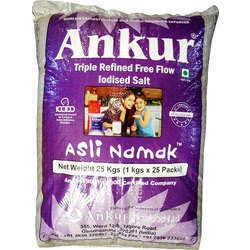 Manufactured under OEM and international food industry norms; these bags aid in storing rice fresh for a longer time. 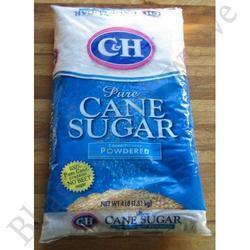 Additionally, clients can opt for the bags in bulk at industry leading rates. 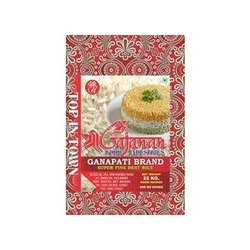 We are one of the most reputed manufacturer, exporter and supplier of BOPP Rice Bags. These bags are used for excellent resistance to the packed product against dirt, moisture and other impurities. Available in various options of length, width, denier, colour, design and customer specified patterns. Within the short time period, we are engaged in manufacturing and supplying an excellent grade BOPP Wheat Bags. Biaxially Oriented Polypropylene (BOPP) is a polypropylene film used for manufacturing the wheat bags. Manufactured following the set industry guidelines develop the bags with the properties of reliability. Clients can now store the wheat for a long time. These bags do not stale the stored wheat inside. Actually, it supports in keeping the wheat fresh by resisting to moisture or water vapor. Owing to the expertise of our team of experienced professionals, we are able to manufacture and supply an exclusive range of Multi Colour BOPP Bags. These bags are manufactured using polypropylene film. At our avant-garde unit, our professionals manufacture the bags in set accordance to international industrial sectors that make the bags hygienic, safe and moisture resistance. In short, the bags are made safe for storing food items for a longer time. Furthermore, clients can also provide their own require specifications for the bags sizes, our advanced machine are well equipped to produce the custom sizes. As an affluent name of this domain, we hold expertise in manufacturing, and supplying high quality BOPP Woven Bags. Woven bags are prone to moisture and they need moisture resistance and strongly laminated bags having extra thickness; we at our manufacturing unit fabricate the bags in accordance to set industry norms and fabricate woven bags. These bags are made obtainable in 1kg, 5kg, 10kg and 1-ton size in common, whereas clients can get the customized bags according to the requirements. 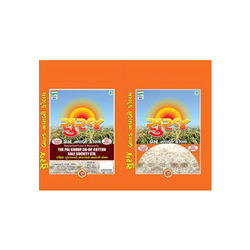 BOPP Rice Bags are manufactured from hygiene food grade raw materials. these are widely used for packing and storage of rice and allied products. These bags are used for excellent resistance to the packed product against dirt, moisture and other impurities. Available in various options of length, width, denier, colour, design and customer specified patterns. Since our inception, we are engaged in manufacturing and supplying a wide range of excellent quality BOPP Colored Rice Bags. 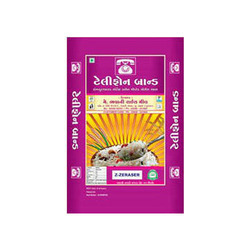 These rice bags are made available in various sizes and digital prints. The polypropylene film material (Biaxially Oriented Polypropylene) used for manufacturing the rice bags assists in digital duplex printing. 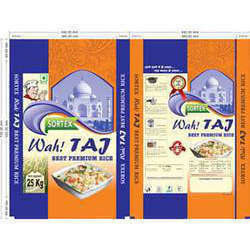 Clients can get the rice bags having two sides printed information using advanced machines available at the unit. Clients can also opt for custom size and design according to the business needs. We offer BOPP Bags for sugar packing that is widely used for packing vegetables and assured to have high quality standards. These can keep the vegetables fresh. Permeability of the bags helps in significant saving in energy cost in cold storage systems. Our bags keep products safe and fresh for long durations have excellent reusability and wash ability characteristics. To meet the specific requirements of our clients, we are also offering customization facility. As one of the leading organizations of this domain, we are engrossed in providing supreme quality BOPP Salt Bags. 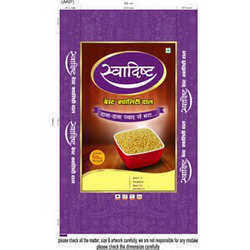 These bags are manufactured using polypropylene film. The material offers resistant to a less amount of heat, and moisture. The thick layer of the film assists in keeping the salt safe by not letting it react with atmosphere. This way, the thickness of the film helps in protecting salt crystals by keeping fresh and effective. We have been affianced to manufactured and supply an excellent grade array of BOPP Seed Bags. These bags are manufactured using polypropylene film, accordance to set international industry norms, and using progressive technology under the supervision of deft professionals at our manufacturing unit. 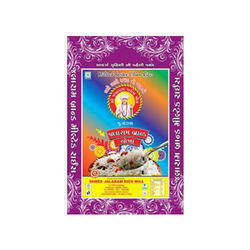 The provided bag can have digital printing carried out in both the sides. 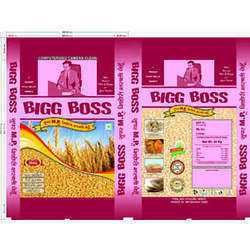 Strong computerized lamination and industry proof adhesive helps in making the seed bags safe for storing seed. 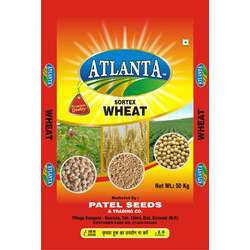 It keeps the stored seed and other food items protected from moisture and fungi development. 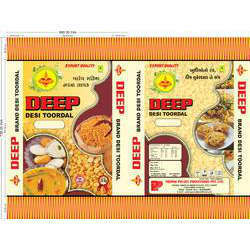 As a trust worthy manufacturer and supplier of this domain, we are committed to offer our clients a superior quality assortment BOPP Spices Bags. These bags are made accessible in a variety of sizes; 1kg, 5kg and 10kg. Clients can also give their custom demands and sizes can be customized accordingly. At our manufacturing unit, we adhere to industry standards during the fabrication of the bags. Such severe adherence during fabrication assists in making the bags safe for storing all kinds of spices for a long time. 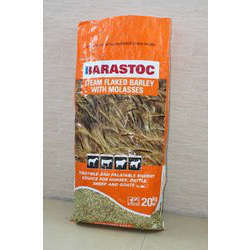 We are the prominent organization of this domain engaged in offering a wide spectrum of Poultry Feed Bags. These bags are made available in a variety of sizes. The offered bags are manufactured accordance to set industry norms that help in keeping the feed items fresh for a longer period. Strong lamination, transparent, and custom thickness are the major specifications of the feedbags. At our manufacturing unit, our professionals use advanced technologies and techniques for fabricating the feedbags. We are engaged in providing an extensive assortment of BOPP Pulses Bags that is fabricated form quality raw material. Our BOPP bags are offered with high transparency, clearness, better tensile strength, durability and good print ability characters. These BOPP bags are available in different sizes to suit the diverse requirements of our esteemed clients. Further, we are also engaged in offering customization facility to meet the specific requirements of the clients.